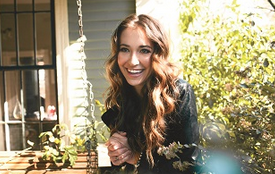 Contemporary Christian singer Lauren Daigle has released First as the follow-up to her Top 3 hit, How Can This Be. For her sophomore release, Daigle taps Dove Award-winning producer Jason Ingram, who collaborates with Daigle and songwriters Mia Fieldes, Paul Mabury, and Hank Bentley, to come up with this raw musical declaration of faith. Even at first listen, First is an emotional roller coaster of a song, especially with its powerful chorus and breathtaking bridge. First establishes Daigle as a bonafide talent to watch.